Yet, surely you encountered a few surprises with the returning songs despite the specifications you provided. Were there any songs that threw you for a loop? I mean, we probably shouldn’t let too many cats out of the bag before players have a chance to play, but can you name at least a few of the surprises without giving away too much? Sure. The “Cooking Guide” was pretty interesting. “Let’s Have a Brawl” . Only the original composer can get away with this sort of playfulness though and I was glad that he took the pains to work with the original data from the game in arranging this piece. The musician in charge actually came to me to tell me in person what an interesting track he had come up with. Really? (laughs) Our office got a kick out of it as well. Were there any songs that made you wonder if you had gone too far? Well, there are some songs I wouldn’t have picked were this a regular game. “X” is one of these. Just kidding. (laughs) Actually, I really like the song from the tunnel scene in X. You might even say it was Totaka-san’s debut song. He became famous as the model for Animal Crossing’s “K.K. Slider” character. Really? 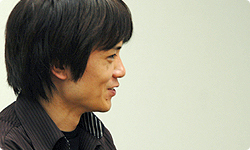 Totaka-san wrote the song for “X”? I didn’t know either, but it would appear so. It’s a short song with only a few phrases, but it’s really good. I was happy to use it as is, but he made a nice arrangement that sounds awesome. I imagine all the songs are worth listening to. 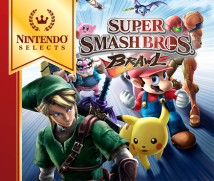 Leaving aside those that simply edited or collaborated in other ways, how many people composed music for Super Smash Bros. Brawl? More than thirty I believe. Wow! That’s a record that will be impossible to break.